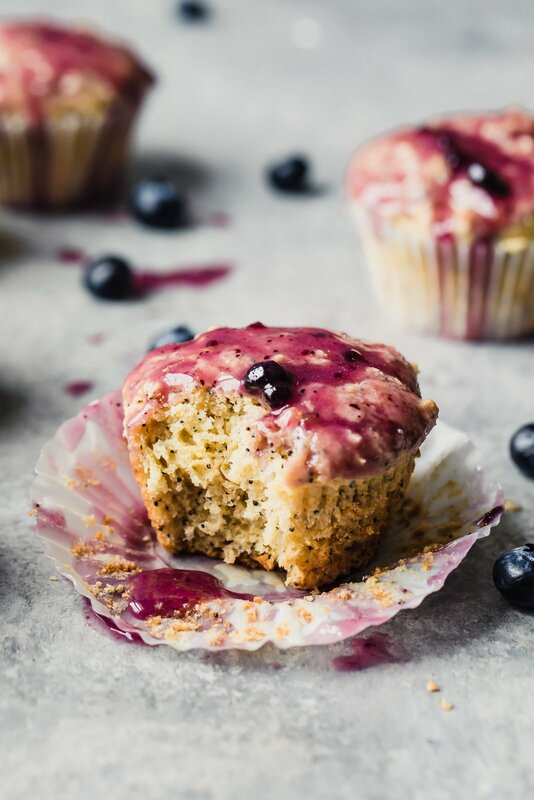 Say hello to springy, beautiful healthy lemon poppyseed muffins with a light lemon blueberry glaze! 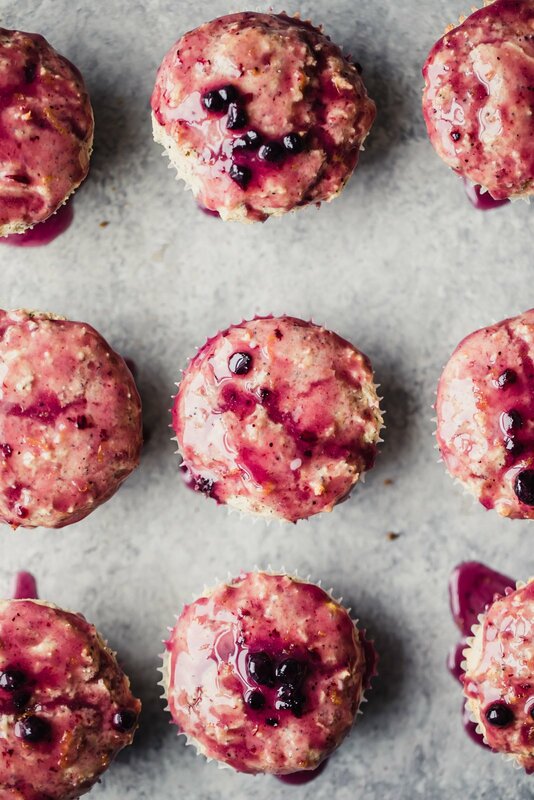 This muffin recipe is guaranteed to brighten your day. I think you all must be lemon lovers because the number one most requested muffin recipe via Instagram was lemon poppyseed muffins. To be honest, I was a little shocked as I’ve never gravitated towards anything lemon (orange muffins are my fav). However, after testing (and re-testing) these babies about 8 times, I’ve become a LEMON LOVAH FOR LIFE. Whatever the case, be on the lookout on Instagram, that’s where I tend to share all of my upcoming recipes. So anyway, let’s talk about these healthy lemon poppyseed muffins made especially for all my lemon lovers. They’re fluffy, tender, perfectly moist with pops of citrus lemon flavor in every bite. I love that they’re packed with a little extra protein thanks to the yogurt and also naturally sweetened with honey. There’s also a tiny bit of almond extract to the batter for a little something different plus it helps to make the muffins SO flavorful. Dry ingredients: Whole wheat pastry flour, baking powder, baking soda, poppyseeds and salt. Wet ingredients: lemon zest, lemon juice, honey, egg, whole milk yogurt, and a little butter (or coconut oil!). These muffins also use whole milk greek yogurt to give them their incredible texture and to add a boost of protein. Don’t be afraid of a little fat in your yogurt; I know I used to be, but once I started eating whole milk yogurts my tastebuds started dancing like it was 1999. If you don’t have whole milk yogurt, I think you could get away with using low-fat greek yogurt, but the texture may not be the quite the same. If you want to make these dairy free, you can use coconut yogurt. Before you get baking, let’s talk about this lemon blueberry glaze situation: I basically want to drizzle my life with this glaze. It’s light but adds a little something extra to every bite (plus look at that gorgeous color!). The glaze made with fresh lemon juice, lemon zest, powdered sugar, butter and jam of your choice. I like to use blueberry jam, but you could also use strawberry or raspberry; it’s up to you! Okay, now it’s time for me to stop chatting and time for you to get baking. 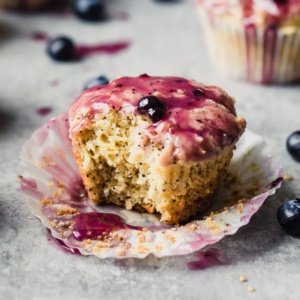 One last thing though: if you want to make these lemon blueberry muffins, just add ¾ cup blueberries to the batter. YUMMMM. And you find yourself really loving this recipe, be sure try out my lemon blueberry paleo bread. Can’t wait to see you guys make these. Don’t forget to tag me on Instagram and share your creations with the hashtag #ambitiouskitchen. I would also love if you left a comment below and rated the recipe. Healthy lemon poppyseed muffins made with yogurt and naturally sweetened with honey then topped with a perfectly sweet lemon glaze. Perfect for spring! Preheat oven to 400 degrees F. Line a 9 cup muffin tin with liners and spray the inside of the liners with nonstick cooking spray. Do not skip spraying them! In a medium bowl, whisk together whole wheat pastry flour, baking powder, baking soda, salt, and poppyseeds. Set aside. In a separate large bowl add lemon zest, honey, egg, siggi’s whole milk yogurt, lemon juice and almond extract; whisk together until smooth and well combined. Gently begin to fold in the dry ingredients with a wooden spoon, alternating with the melted butter. Stir until just combined. Divide batter evenly between the 9 prepared muffin liners. Bake for 12-15 minutes or until tester comes out clean. Be very careful not to overbake. 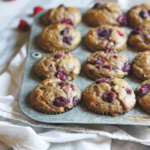 Allow muffins to cool for 5 minutes in the pan then cool muffins completely on a wire rack. 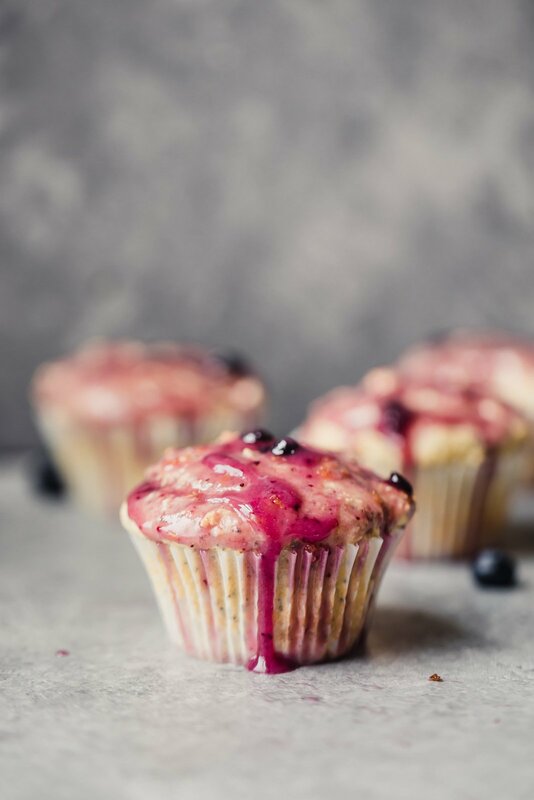 Once muffins are completely cooled, make your glaze: add powdered sugar, lemon zest, lemon juice, melted butter and the optional blueberry jam to a small bowl, stir until well combined. You may need to add more lemon juice to thin the glaze, it's up to you. Once muffins are completely cooled, lightly dip each muffin into the glaze or spoon just a little bit on top. Makes 9 muffins -- enjoy! 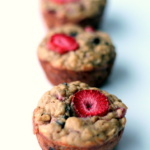 To make these muffins gluten free: Feel free to use chickpea flour or all purpose gluten free flour. If you use either of these, you may need to add a few tablespoons more liquid. Please know that I have not tested these to be gluten free. 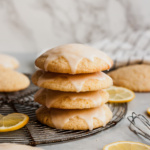 If you want to make a simple lemon glaze: mix together 1/3 cup powdered sugar, 1 tablespoon fresh lemon juice, 1 teaspoon lemon zest and 1-2 teaspoons almond milk to thin. This recipe is in partnership with siggi’s. Thanks for supporting AK and the brands that help make this site possible! 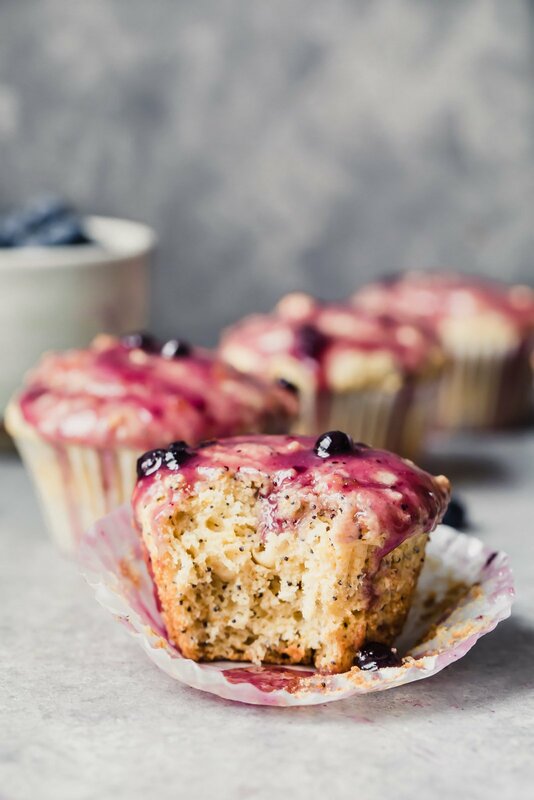 49 Responses to "Healthy Lemon Poppyseed Muffins with Lemon Blueberry Glaze"
Yum, these look amazing! Lemon poppyseed is my fave, especially with blueberries or raspberries! 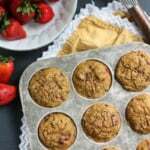 Would I be able to use almond flour in place if the pastry flour? Love them!! Almond flour won’t bake up the same 1:1 here – it’s has a much different consistency than pastry flour. I’ve added some suggestions for trying a gluten free flour above! These look delicious.. I second the question about regarding almond flour. And do you know of calories not including icing? Thanks! They’re one of my favs! I’ve added some suggestions for trying a gluten free flour above, but would not suggest using almond flour. I believe they’re just under 200 calories without the icing. I hope you loved these ones Denise!! Do you only glaze them if you are eating immediately or will the glaze harden if you’re making them in advance for a party? Also any tips when subbing cup for cup types of gluten free flour to make them less dense? Adding vinegar? Thanks! Hi Monique! I am most definitely making these this afternoon! My one question is, if I wanted to omit the blueberry, and just do all lemon poppyseed with lemon glaze- Is there something I should be adding to it or subbing? Thanks so much! Super excited to make these. Hi! You can just leave the blueberry out 🙂 Hope you loved these! Lemon poppyseed anything is always a favorite of mine. Growing up, I used to eat those lemon poppyseed breakfast loaves all the time for breakfast! I never would have thought about adding a blueberry glaze. What a fabulous idea! It’s such a nostalgic flavor! Reminds me of childhood too 🙂 The blueberry glaze is delicious! Can I make these GF by using the Bob’s Mill 1 to 1 baking flour? I think that should work – you might just need a bit more liquid! These photos are stunning! And the combination of lemon muffin with that beautiful frosting… yum! Super easy to make and delicious!! My husband ate 4! So happy you both enjoyed!! Yay!! So glad you’re down with the full fat thing! The fat is good for our brains, satiation, and may even balance out ingredients like sugar. I’ve been a fat fan forever 🙂 Now…onto your incredible recipe. It looks SCRUMPTIOUS. Ticks all the boxes for ‘treat’ and ‘healthy,’ and will be our Easter morning buzz. Thank you for showing me how to make a less sugar glaze! can these be made with full fat greek yogurt (it’s what i have on hand) or should we stick to regular yogurt? Thanks! Full fat should work! Enjoy! I have made these muffins 3 times in the past 2 werks, they ate absolute perfection!!! They hold moisture to perfection. I have made them for a few family members that don’t like “that healthy stuff” and have completed fooled them! I substituted the vanilla yogurt for plain and used xylitol sugar instead of coconut sugar. Can’t wait to try the carrot cake cookies tonight! Aren’t they awesome?? Glad the family is loving them too 🙂 Enjoy the carrot cake cookies! i am so excited to try all of your recipes! i dont know where to start! Hi! Can you use coconut yogurt as a substitute? Also is there anything to sub for the eggs (flax eggs or applesauce?). I have a lot of food sensitivity right now but love your recipes! I have a similar question- do you have suggestions on how to make this recipe vegan? Hi! Coconut yogurt should work. 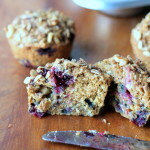 I haven’t tried this recipe with flax eggs, but let me know if you do! Could I use sour cream in place of the yogurt? Yes, but I might suggest adding 1-2 tablespoons more of sugar because I used a vanilla yogurt in the recipe. These look amazing, I can’t wait to make them! Should I cut down on the amount of honey since I could only find honey vanilla greek yogurt? And if I use a mix of regular whole wheat flour and cake flour is that a good sub for ww pastry flour? Hi! You can use 1/4 cup or 1/3 cup honey and yes 1 cup whole wheat flour and 1 cup cake flour should work well! Please report back when you make them. These are phenomenal – wouldn’t change a thing. I add the optional blueberry jam in the topping.